Our friend, Patrizia Ciava, wrote a review on NOCHE SIN DIA in Italian two days ago. I found it noteworthy. It keeps our various takes on the subject in perspective. While maintaining the integrity of our guys, she focuses her opinion on video quality. I asked her if I could have it google-translated to English for publishing at our Flight Crew Blog to which she agreed. She has further refined the translation and below is her refined translation. I am submitting it to you for featuring on our Flight Crew Blog. It is no mystery that I think the three singers of Il Volo are among the best vocalists existing today on the international music market, I wrote several articles about them and it seems superfluous to remind it. On the other hand, I have always tried to be objective and impartial in my reviews and I believe (and I hope) that this feature of mine is appreciated by those who read me. I will not dwell on the decision of the record company to exclude Italy and other countries from the initial launch, which many fans have deemed offensive; there are certainly valid reasons and commercial evaluation or agreements between labels that we cannot know. It often happens that CDs come out in some countries and not in others, and I do not see anything that is disturbing or disrespectful. I would like to say that I love Spanish and Latin American music, I enjoy listening to the songs of Enrique Iglesias, Alvaro Soler, Marc Anthony and Luis Fonsi, and I certainly contributed to make the over 2 billion views of the video “Bailando” starring Iglesias with Gente de Zona, the same group that dueted with Il Volo in their latest work. 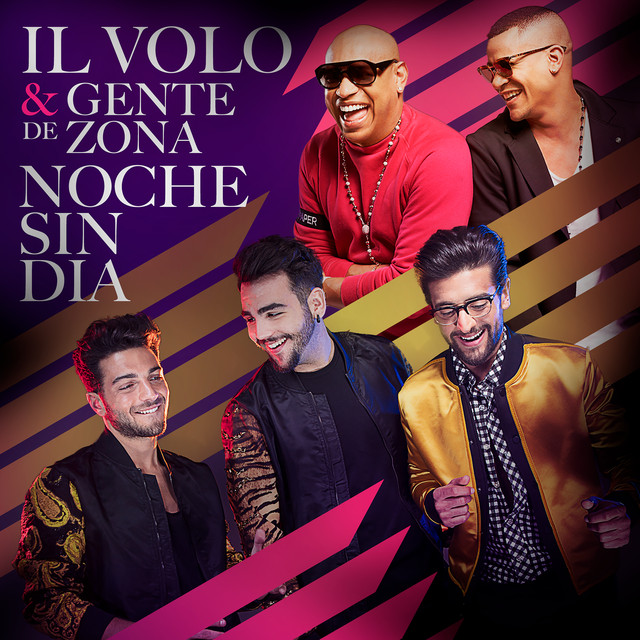 Regarding the song and the video of “Noche sin dia” I found them pleasant but not of the quality that I would have expected from a great producer like Emilio Estefan and not up to international stars like Il Volo. This is obviously a personal opinion that does not question the artistic talent that the three young singers have already widely demonstrated to possess. To try to explain the reasons for my view, I wondered what attracts me in a music video, pushing me to watch it several times. My opinion is not based on the lack of emphasis given to the voices of the three singers in the song; I believe that they can indulge in a project that is not mainly based on their vocal talents, which by now everyone is well aware of. The song has an enjoyable and attractive rhythm but it is all contained in the refrain, it lacks a less rhythmic part that usually tells a “story” and gives meaning to the whole song, creating empathy with the listener. The underlying story is then usually hinted at and “told” through the video, with the background actors and dancers surrounding the protagonist singers. The most famous songs, which became dancing hits thanks to their cheerful and rhythmical refrain, such as “Despacito”, “Sofia” or “Bailando,” also have this feature that helps make them more attractive to a wider audience. In the video of “Noche sin dia” instead there is no underlying story or at least a common thread, it just shows the singers singing and dancing along with everyone else, without even a choreography. A good video is of paramount importance nowadays to promote a song. It has often helped to make a song famous that otherwise would have gone unnoticed. Just think of “Take me to church” by the Irish singer Hozier, which came out in 2013 and was successful only locally and then became an international hit with the release of the video in 2014, totaling more than 200 million views. I have always considered that the management of Il Volo has paid too little attention to this aspect; except for some official videos which have a nice setting and storyline, like “L’amore si muove”, “Canzone per te” and “Grande amore”, the others are rather ordinary and I hoped that this video would mark a turning point in this respect. For this reason I was a bit disappointed, but I am sure that the loyal fans that Il Volo has been able to conquer in every corner of the world thanks to their undisputed talent, professionalism and friendliness, will support them with enthusiasm in this project … while waiting for new surprises. Bravo Patricia great review. Grazie Mille Grazie. Thank you for your review. I found a new video for ‘exercise” using the “Noche sin dia” and I loved hearing the voices without all the “Angels”. There is also another video of just the voices and words in Spanish. Listening without too much distraction made me like the song so much better. I even wanted to get up and “exercise” with the group. So no matter of how we all feel it seems to have made an impact to make of all these of shoot videos. It is the boys first try in this new musical area and I applaud them for trying. It is so scary to make drastic changes in ones careers. oh wow, Jana, you even included my letter… blush…blush…blush. I agree with Jana, Cynthia you were good, I told you even in our regular messages. I take this opportunity to thank Pat too for his work in the various posts! Thank you! oh, Daniela, Grazie….. from my heart…. Thanking Patrizia Ciava for a thorough, fair and balanced review, which helped me put aspects of the video in perspective after watching it several times, in an attempt to understand the video itself. 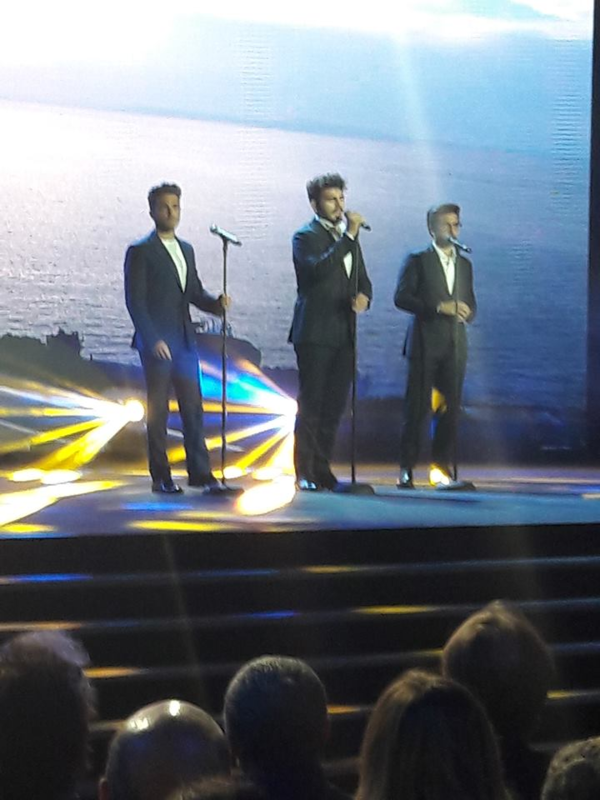 If just listening to the music, one would never guess the stars of Il Volo are singing in it. If watching, Gian seems to have his “moves” down, as well as expression. Ignazio seems to be going though the motions and not sure what the motions are supposed to be and Piero, bless him, seems completely out of place to me. They have such great stage presence and expression in all their previous endeavors, that I was expecting the very same and maybe more in this video. The lyrics are Very repetitive and I have no idea what the real story is about, after all is said and done. Only the full release of the CD will tell the real story, as to whether or not this project will be a lasting, memorable part of their otherwise wonderful music legacy. I, of course, still support them very much! The boy’s have always been fans of music of their age, young groups that we older fans find not to our liking. They have worked so hard all these years to play different music that we like. I think it’s past due for them to go outside the box & do something for them ! So the video doesn’t have as much structure we are used to, but I love them no matter what they do, so I say let them have fun ! They are young still & probably dance around like this all the time at home ! Kudos & love from Hadley Michigan!! Patrizia has highlighted what for me is the problem of the video–namely, there is no focus to it. It is a jumble of sounds and images with no purpose. That won’t stop me from listening to the song! Or buying the CD or supporting Il Volo in whatever they do. When Patrizia published this review, I commented, therefore, I put here the same comment made directly to Patrizia. I like it, I do not know what to say, we are all, however, expressing our opinions. Patrizia, I appreciate your honesty. Honestly I do not know at all the videos of the singers that mention, so I have no term of comparison, I judge only for what I see and I feel now. I admit that I was hesitant, but when I saw and heard, I was not disappointed, to me, they convey so much joy and desire to dance, to have fun, but without excess, without vulgarity. The rhythm is fitting, repetitive, but not boring. The voices feel little but I thought that in such a rhythm there would not have been space to demonstrate individual potentials for which there are quite other tracks. Now I add that this video, was made for young guys, that very little look at the goodness of the video, and very little they know of the enchanting voices of the boys. Let these young people be captured by the rhythm, then they will understand that there is more to discover. Daniela go to YOUTUBE and find the two videos made by some people with the voices of the boys and Gente de Zona singing :Nache sin dia”. They are not professional but it makes you hear them sing so much better. I think it is a fun video. Anxious to see what is going to happen next. Gina, and you found the video where a teacher teaches a simple choreography on Noche Sin Dia’s music? It’s beautiful, they’re easy movements, it could be one of the dances for the summer. I saw the video you say, it was the way to avoid copyright imposed and be able to listen to music. please everyone all the time. For me what is good is they are trying there best to please everyone which is an impossibility. I like the new songs & I still say they can do no wrong & whatever they come up with & try I am going to applaud them always because there is no vulgarity I have to listen to or turn the song off because that is what I hate. So Gianluca, Ignazio & Piero keep on trying new songs or whatever you want to try that is a bit different I know you have the smarts to keep giving us purity. Hi Laura, yes i kind of got that. I like latin music in general, usually has smooth rhythm and percussions. Round, curves edges, smooth…. rather than sharp and angular. A great article. I love the music but I thought the production was a little amateurish. Especially from someone like Emilio. The boys are wonderful as usual but it seemed as though there was not much thought in putting it together. They definitely had fun! By the way, did anyone else see Ignazio’s friend Fabio Ingrassia in the video? Thanks to you, I saw it too! I thought I saw a flash of him go by; now I know it was him. Thanks. The review is correct and insightful. The boys voices are great but get drowned out in spots – – hard to believe this was the quality the Estefans are capable of – kind of amateurish. Love the past videos and music of Il Volo. I wait for the next one. I hope they will do another show for PBS, in the new future. Are we talking about the new CD that we’ve been waiting for since last fall? Or is that still coming out in September? I haven’t seen this new video and new music, but I thought they were doing a complete new CD. It doesn’t sound like Noche sin dia is it. If it’s not, I wouldn’t worry about how they sound or appear. Can someone clarify whether or not we are still waiting for their “new CD?” Thanks.